Setting sail from Broome, this trip of a lifetime will have you visiting every noteworthy attraction along the way. Immerse yourself in the natural wonders of the Kimberley Coast including the Horizontal Waterfalls which were described by British naturalist David Attenborough as ‘one of the greatest natural wonders of the world’ and he should know! Ruby Falls, Sale River, Montgomery Reef, Bigge Island, the Prince Regent, Vansittart Bay, King George Falls and the Berkeley. A courtesy vehicle will pick you up from your accommodation around 4:00pm transferring you to Ocean Dream, where you will be introduced and welcomed on board by your captain and crew. Begin your cruise with a cold drink whilst viewing the beautiful sunset off Cable Beach. Unpack, meet your fellow adventurers and enjoy a delicious dinner served on the rear deck, then get settled whilst we cruise during the night up the coast past Cape Leveque to the Buccaneer Archipelago. Enjoy a delicious breakfast whilst taking in the beautiful scenery as we cruise through the magnificent Buccaneer Archipelago, consisting of more than 800 islands. We’ll cruise through to Talbot Bay home of the magnificent and famous Horizontal Falls. Take a tender and head in for an up-close look or take an exhilarating ride through this natural phenomenon on a fast jet boat ride. Join a scenic excursion up cyclone creek to marvel at the amazing rock formations. We put on our walking shoes and take a trek up to the caves perched high on the hill, this is a site of Aboriginal rock art. Back on board we continue our cruise to Red Cone Creek by tenders to experience the beautiful Ruby Falls. Then we explore the Sale River, our tenders will take you up stream for a closer look at the stunning orange and red sandstone cliff’s as we wind our way through narrow gorges. Keen anglers can yet again try their luck at fishing. We then take an unforgettable look at the spectacular sights of Montgomery Reef. Watch as the tide drops, creating a waterfall effect as the reef rises out of the water. Jump in the tenders to observe the many marine species, including turtles. The afternoon will be spent around Langii, where we can see the ‘Petrified Warriors’ and swim in crystal clear waters. We visit Careening Bay, site of an ancient carved boab tree first visited in 1820. We then cruise North to Bigge Island, one of the largest sandstone islands and home to Bradshaw art and Wandjina art. We continue our day cruising around Cape Voltaire towards the Mitchell River. For the enthusiasts fishing and mud crabbing is on offer at low tide and then after lunch we’ll indulge in a freshwater swim in Surveyors Pool. We’ll depart at sunset for Vansittart Bay. Visit WWII history with the crash site of a DC3 aircraft, located on the eastern side of Vansittart Bay. We also explore and wonder at the incredible rock art known as Bradshaws, dated some 20,000 years old, which is unique to the Kimberley. At high tide we cross the sandbars of the King George River, one of the great Kimberley icons with a dual waterfall that has a vertical drop of over 80m, making it one the tallest waterfalls in Western Australia. Early morning, we cruise up the Berkeley River, one of the most beautiful rivers in the Kimberley. Take a tender excursion up the river and fish off the flat rocks for barramundi or walk to a fresh water pool. This is your last evening under the Kimberley skies as we cruise down Cambridge Gulf, towards Wyndham. 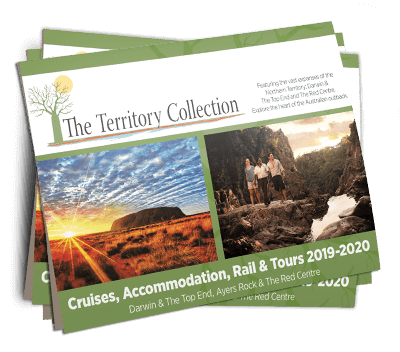 We arrive into Wyndham Port early in the morning and after a last Breakfast served on board a coach transfer will take you to Kununurra arriving approx. 10am. Please note that this is a sample itinerary only. Due to the large tidal movements and the remoteness of the Kimberley region, we cannot guarantee to keep with a planned itinerary and adjustments maybe considered by the Captain on a daily basis during the cruise. This is a sample itinerary only. Our Wilderness Cruises are adventure based and you can expect to see and experience more than what is listed on the itinerary. Due to the large tidal variations in the Kimberley, we are not always able to guarantee to keep with the planned itinerary and adjustments may be considered by the captain during the cruise. Weather changes and other vessel movements will be taken into consideration to ensure an exceptional and safe wilderness experience for our guests.